The hardest part of writing a Will is making a conscious decision to do it in the first place. The majority of UK adults haven’t even got that far and risk gifting their loved ones years of uncertainty rather than a smooth transfer of their estate. Aside from being an uncomfortable topic to contemplate, cost and convenience have proven two of the common barriers to getting a Will sorted. Something had to change and the digital revolution has made it possible. 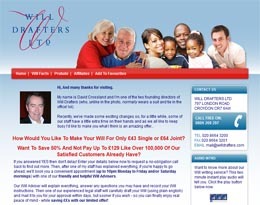 Yes boring, stuffy old Wills have gone digital too, or at least getting one sorted has. A new breed of Will writer has emerged to solve a relatively simple problem that can cause trauma and stress at the worst of times. One of the latest is Farewill. Only launched in 2017, they made such an impact that they quickly became the largest Will writer in the UK. 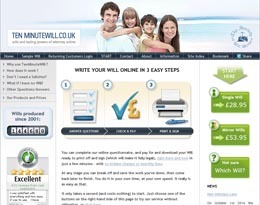 They achieved this by making the process of writing your Will as quick and easy as ordering your weekly shop online. More significantly, it’s not just about the process, Farewill have gone all out to make the topic easier to digest too with a sense of the process being about life as much as it revolves around death. It’s also the little things that make a difference – a very slick and intuitive question flow right from the home page help to remove the feeling of resistance to completing the process. Essentially, the Farewill process is the same as any other online Will writing service. After checking by an expert, your Will is available for printing. You sign the Will in the presence of witnesses to make it legally binding. 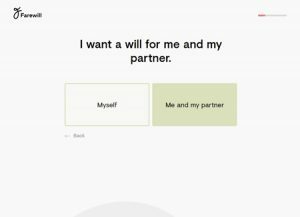 Again, it’s the execution that sets Farewill apart from others. Everything flows well with plenty of jargon-free content and a responsive support team available to answer your questions at the click of a live chat button. Another feature we like is the annual update subscription. For a very reasonable £10 per year, you can update your Will as and when your circumstances or wishes change at no extra cost. Again, this solves one of the ongoing pitfalls after making a Will which is keeping it updated and relevant to your needs. How much does a Farewill Will cost? 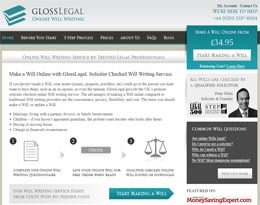 The main advantage of writing your Will online is the savings in time and money they offer. 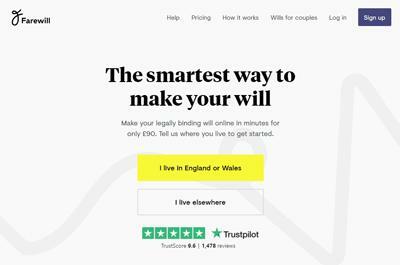 Farewill will definitely save you time and certainly money when compared to using a Solicitor, but slightly less than many other online services. 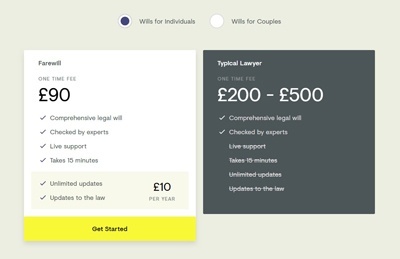 As already mentioned, there is an additional annual £10 fee (£10 each for couples) which enables you to update your Will at any time in the future. Just login to your account, edit your details and repeat the original process. This is free for the first year and you can cancel the subscription at any time, although should you decide to update your Will after cancelling, you’ll have to pay the full price again. A Farewill Will is priced higher than many online Will services, but from time to time they do run special offers where you can enter a discount code at the payment stage. The best way to be notified when these discount offers are available is to follow the Farewill Facebook page and click ‘see first’ so you don’t miss their posts in your news feed. There’s no better indication of a providers attitude to it’s users than feedback from existing customers. 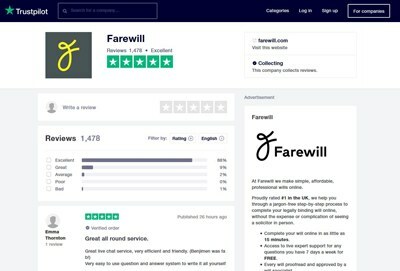 At the time of writing, Farewill is rated 9.6 out of ten in almost 1500 verified customer reviews on Trustpilot. The common thread from the positive reviews is how easy and quick the process is with friendly support staff who respond within seconds to live chat requests and minutes to emails. We struggled to find many negative reviews (just 10 of nearly 1500), but those who did leave a poor score appeared to be trying to use the service for more complex situations that might be best resolved with personalised legal advice. Others seemed confused by parts of the process. If you live in England and Wales and your circumstances are straightforward, Farewill offer a simple and fast solution to getting your Will sorted with excellent customer service. It may cost a bit more than other providers but if their super simple process means you actually get your Will done, then it’s got to be worth it. That said, no service is perfect, so to finish up here’s our list of pro’s and con’s to help you decide if Farewill is right for you. 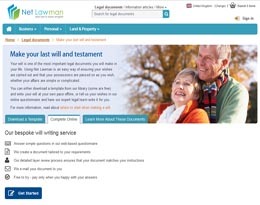 Doesn’t offer additional legal documents such as power of attorney etc. This is only a brief review of the Farewill service. Please visit the official website for full details by clicking here. Although we make every effort to ensure our Farewill Wills review is accurate and up to date; prices, terms and conditions are subject to change. Therefore reviews may be dated, partial or inaccurate; and should not be solely relied upon without conducting your own independent research before deciding to make a purchase or other course of action.